Former Dreams FC player, Michael Sarpong has revealed his readiness to represent the Ghana in the senior National team colours if presented with the opportunity. Michael Sarpong currently plays for Rayon Sport in the Azam Rwanda Premier league, posing as an instrumental part of the team. 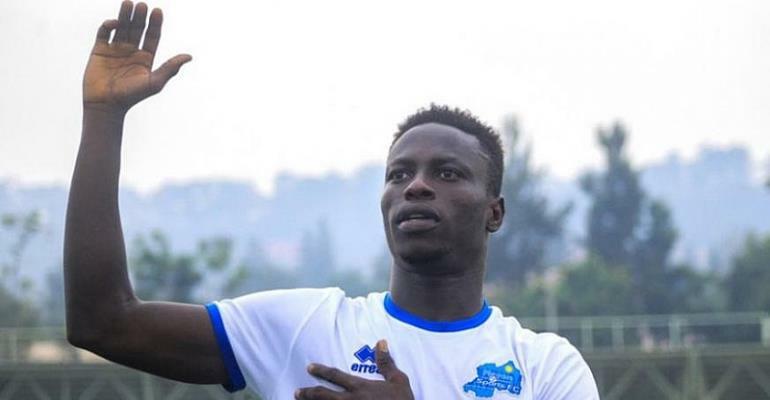 Sarpong, 23, has been voted the Rayon Sport's Player of the Month twice, first in October 2018 with the latter in January this year. The award makes him the only Rayon Sport player to claim the Player of the Month accolade twice this season. ''I'm ready to represent my country anytime. It will be such a great pride to wear the [Ghana] jersey and make my motherland proud. I am working hard to earn a spot on the national team and I really look forward to be called up one day,'' Sarpong told Saturday Sports. The Black Stars have qualified to this year's edition of the African Cup of Nations, hoping to end their 37-year drought.